This will be a quick summary since I had not much free time recently. My portfolio was on autopilot mode in the last few weeks. Nothing has really changed. Dividends came in, got reinvested. Some purchases were deployed in May. The S&P500 has been very volatile lately. There have been ongoing discussions with the North Korea, trade tariffs, and Italy. The dollar has increased in strength in the last month. And crude oil prices are higher than earlier in the year but have recently pulled back. 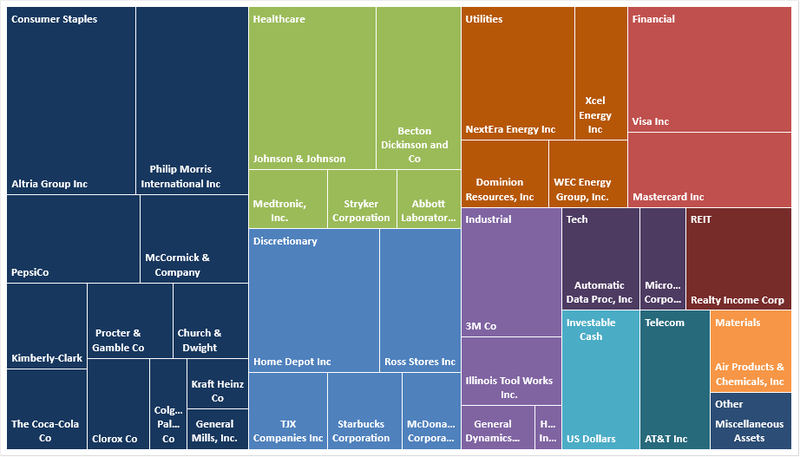 My portfolio has the majority of its assets in consumer staples. This sector has not fared well so my portfolio has sat rather still for the last several months. There are several factors holding the capital appreciation back of these stocks despite many of them having higher earnings and higher dividends. Interest rates are going up which puts pressure on high dividend paying stocks since bonds become more competitive. There are inflation concerns due to tariffs on foreign import and gas prices are going up, additionally there are shortages in services such as shipping. Trade war tensions cause concern for multinational consumer staples. Technology has been performing the best as they are rather sheltered from the many problems listed previously. I do not have many stocks allocated to that sector due to a lot of those types of companies not offering a dividend. 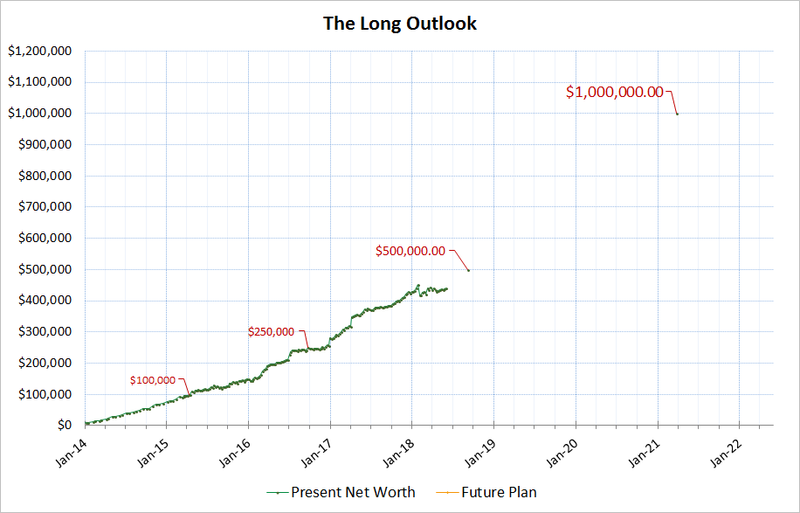 The goal of my portfolio is income growth in the form of dividends, not capital gains. So although my portfolio is lagging recently the income continues to grow and I am still on track to meet my target goals. I am however working on diversifying more into Healthcare, Industrial, and Technology sectors. Microsoft is a new technology position I have been working on adding into my portfolio. I do want to add more to utilities but I think interest rates are going to rise more rapidly due to the growth of our economy. Utilities on paper should become cheaper with rising interest rates due to their high use of debt. I think there will be better entry points. I also expect my high dividend paying stocks like my consumer staples to lower in value as rates continue to rise, as investors will start to shift to safer bonds for income instead of dividend stocks. I find many consumer staples to be very attractive here. For example Pepsico has a 3.7% yield which is very high compared to its historical trend. Kimberly Clark is at 4%. Clorox at 3.2%. P&G is almost at 4% too. And MO and PM are all above 5.0% which is getting more realistic compared to the 3% yields they sat originally. These are all high quality dividend aristocrat type of stocks and if one doesn't have a heavy position in consumer staples I feel it is a good time to add some and then add later if it continues to fall. Unfortunately since I am so heavy in staples, I cannot add as much as I would like due to my goals of diversification. My portfolio now sits at $440,000 in value. This is a real portfolio funded with real money and shows the progress over the last 4 and a half years. It is steadily growing from the periodic investments I make into the portfolio. I use the money I receive from my vocation and put the majority of that amount into income paying assets. My largest positions, Altria and Philip Morris, have not fared well recently. However they still pay very high dividends and the payout ratios are safe. It is interesting to see other stocks that are high performers start to move up to those #1 and #2 spots, such as JNJ and Visa and Home Depot. I think Visa will eventually become my #1 position due to its large growth rate. The downside with Visa is that it does not pay a very large dividend. I try to balance my portfolio with high growers with low dividends with slower growers with higher dividends. My goals for this year are to hit $500,000 sometime in the latter half of the year. I think this is possible as I expect my take home income to be larger in the second half due to non-reoccurring income. 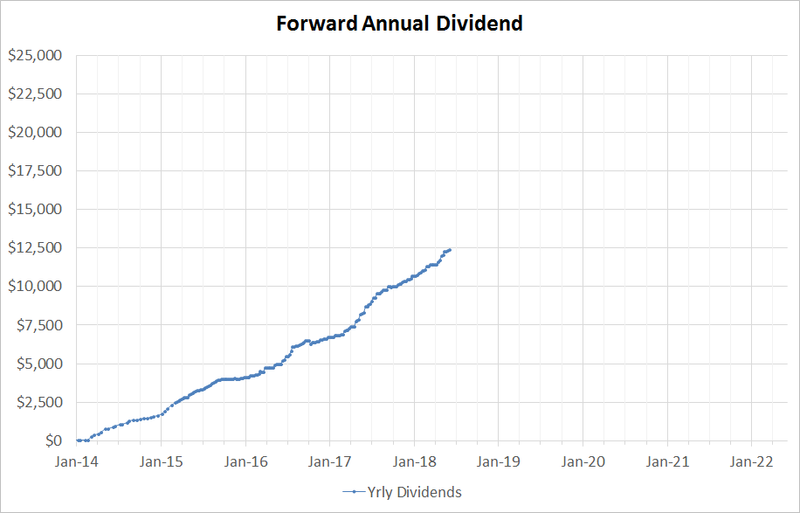 The forward annual dividends shown below continue to grow as well due to individual company dividend increases as well as my contributions. I am now very close to $12,500 in annual dividends. This is over $1000 average per month which is very helpful as I can use that money to pay for bills or buy more shares. The dividend payment graph is much more predictable than the portfolio value chart, I focus mainly on the dividend payment trend and the safety (payout ratio) of that dividend. So far I see no issues in any of the companies that I hold in paying their dividend.. I am with with respect to your opinion on utilities and consumer staples. I have been allocating much of my available cash to acquire new positions and/or build existing positions among the consumer staple space in recent months. Best of luck! Recent buy: MSFT, JNJ, KMB, etc.